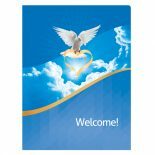 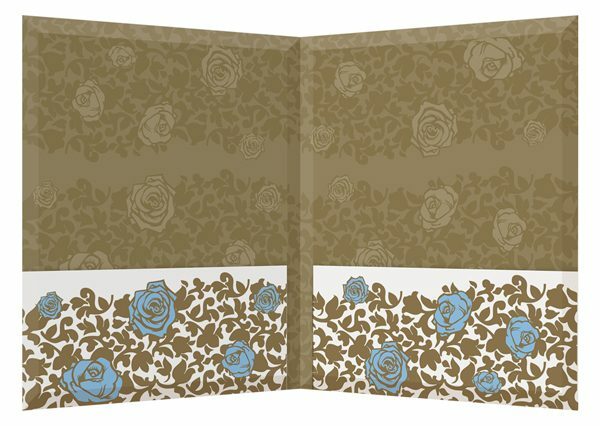 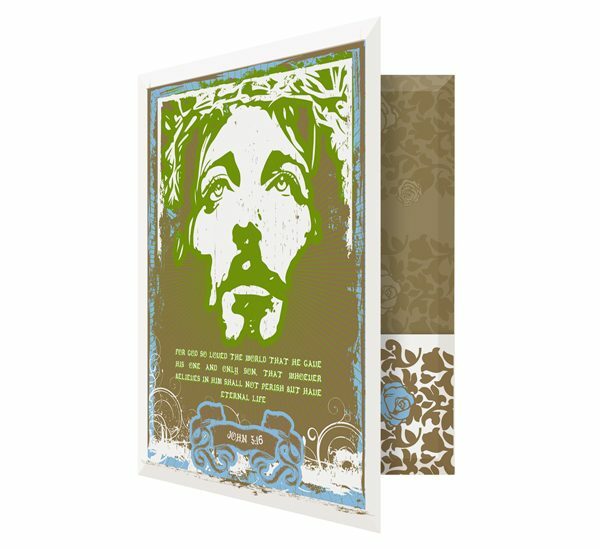 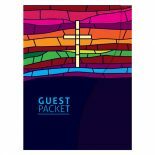 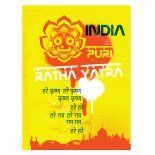 The unique and vivid imagery on this religious folder design template helps it appeal to a younger and less traditional audience. 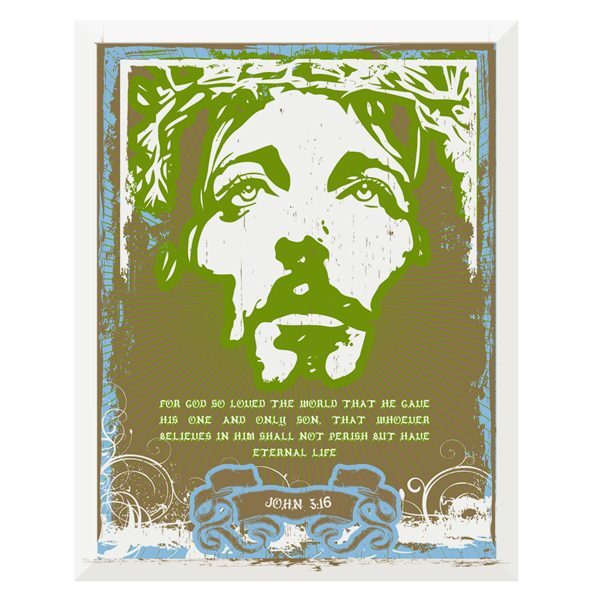 The stencil-like image of Jesus in graffiti wearing a crown of thorns is emblazoned in a vibrant green color with thin sunburst lines radiating from it, making it almost appear to glow. 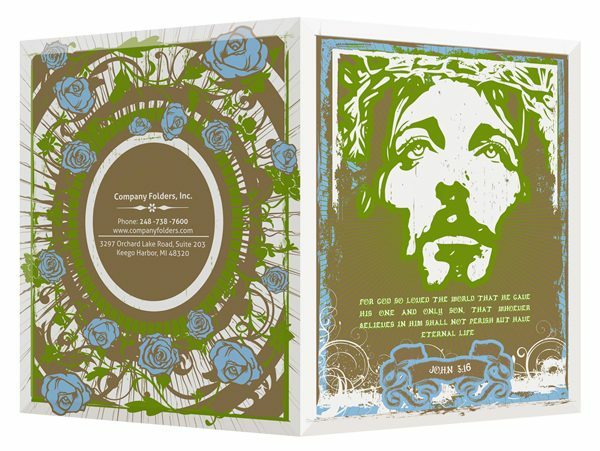 Meanwhile, the art on the interior and back cover makes use of a rose motif, a flower often associated with the wounds of Christ and the blood of Christian martyrs. 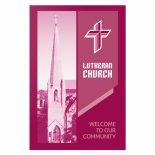 Collateral with this design might contain church directories, schedules of upcoming events, informational leaflets, programs, or other materials relevant to a Christian church or organization.